Garrison joins the show to discuss how parents can guide their college freshman into good decision-making. She shares some tips for building life-long relationships with kids, including the dangers of the “My-Way-or-the-Highway” parental approach. Garrison believes parents can become a student of their child, which will ultimately help them after their child makes a poor life decision. Welcome to today’s show. This is Jason Hartman, your host. And as you may or may not know, every tenth show we kind of do a special tradition here that originated with my creating wealth show, where we do a topic that is actually off topic on purpose. Something just to do with general life and more successful living, and that’s exactly what we’re going to do today with our special guest. Again, tenth show is off topic and it is very much intentional, just for personal enrichment and I hope you enjoy today’s show. We will be back with our guest in just a moment. Jason Hartman: It’s my pleasure to welcome Brenda Garrison to the show. She is the author of Love no matter what when your kids make decisions you don’t agree with. Brenda welcome, how are you? Brenda Garrison: Oh great, great. It’s great to be with you Jason, thanks so much. Jason Hartman: Fantastic. So tell us a little bit about the book and what brought you to write it. Brenda Garrison: The book is some of the journey of my oldest daughter and I, Katie, who will turn 27 next week; our journey of her being strong willed, making decision after decision we didn’t agree with, and the roughness of our relationship and then how we worked through that, and how our relationship has grown. Katie actually contributed to almost every chapter in the book. So you get insight into what she’s thinking and some people said that’s the best part of the book because then they can actually understand more of how their kids are thinking. Jason Hartman: So is the book geared toward any particular age ranges or is it all ages? Brenda Garrison: I think parents of any age or kid would benefit from it. However the stories and the experiences are geared more for high school to young adult kids. But I think parents of tweens or even grade school kids could start to get this mindset of this is coming and I need to be ready for it. They will be so much farther along than I was when it all hit for our house. Jason Hartman: Absolutely. What are some of the things that people can do, that parents can do I should say, to become closer to their children and to just grow that, deep in that relationship? Brenda Garrison: Sure, first they need to realize the importance of their relationship. This isn’t an option, this isn’t a hobby, this isn’t for when you have time. Your relationship with your child is your foundation for parenting. So without that relationship you have nothing to parent from. You have no way to help them, no way to influence them; you have no input in their lives without that relationship. You just become background noise. So knowing how important that is, I tell parents the first thing to do is be available. Be available for your child and spend as much time with your child as possible. Now that doesn’t mean hovering and being the helicopter parent. But especially with teenagers, being home when they’re home. Being ready to talk when they’re ready to talk. And who knows when that will be, it’s not going to be something you can put on your calendar. You’re going to need to rearrange your life and make them a priority. When I was a young mom, I heard Susan Alexander Yates speak one time and she said that when her kids were teenagers they almost had no social life because they were the hub. Their house was the hub. They were home for their kids, and for their kids’ friends. So it’s a small price to pay for a life time of investment. So that would be my number one thing is to be available and be there for your kids. 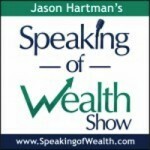 Jason Hartman: What are some of the decisions that parents don’t want to make? Is it this availability issue? Brenda Garrison: I think a lot of times it is and I don’t think parents realize, wow how can I put this? It does take time. And it’s not so much, oh, I mean going for coffee once a week is great, but it’s those times when they’re in the mood to talk or they have an issue and we have three girls. The first and the third are introverts, the middle one’s an extravert. And of course I’m an extravert, my husbands an introvert. And the first and the third would come home from school and they would want some quiet time. They would want to get away. They’ve been in the noise all day. When my second daughter hit the door, she hit the door talking. And she just unloaded everything of her day right then and there. But the other two took time for them to process it in their minds and then become ready to talk to me about it. And if I would have said I’m not here or whatever, and I’m not saying people can’t work outside their home, that’s not what I’m saying, but what I’m saying is be home as much as possible so that when your child is ready to talk and they need you to help with something, you are there for them. Jason Hartman: Brenda, tell us about some of the types of decisions, the general areas that parents disagree with. Brenda Garrison: Sure, I, in the book I’ve got three or four to help you kind of evaluate what your kids going through at the time or what they’re going to be going through. They are preference, foolishness, and then immoral or illegal, and I mean I know there’s a difference but we kind of group those together. So the first one is preference, and we can make an issue out of this; we can make an issue out of everything. But preference is truly, truly no right or wrong. Maybe it’s not what you would do, maybe it’s not what you wanted for your child. I’m talking college choice, I’m taking extracurricular activities in school, I’m talking color of hair, all these things parents will make an issue of. And I did, I made an issue of them too, but then you realize you know what? This is coming between me and my child. And they’re not going to be listening to me if all I do is make an issue out of every word that comes out of their mouth. And then the second one is foolishness. And you can see this plane crash a mile down the road but they are just bound to take it up and let it crash. I mean you can just see it, and they’re not going to listen until they actually try it. And so sometimes they just have to do foolish things. One of my daughters just thought she had to drive fast on a regular basis and got a speeding ticket that cost her a lot of money. She got it out of her system. She now drives 5 miles under the speed limit because she had to pay that for herself. So those types of things, we don’t like to see our kids make those decisions but yet they’re not the end of the world and they can usually learn a lot by them. Jason Hartman: Isn’t it too bad though that people can’t just learn from other people’s experience? That everybody has to learn their own lessons? It seems like human kind would be so much further ahead if we could just learn what we truly learn from the experiences of others rather than repeating mistakes over and over, but it’s just the way it is. Was there one more area Brenda? 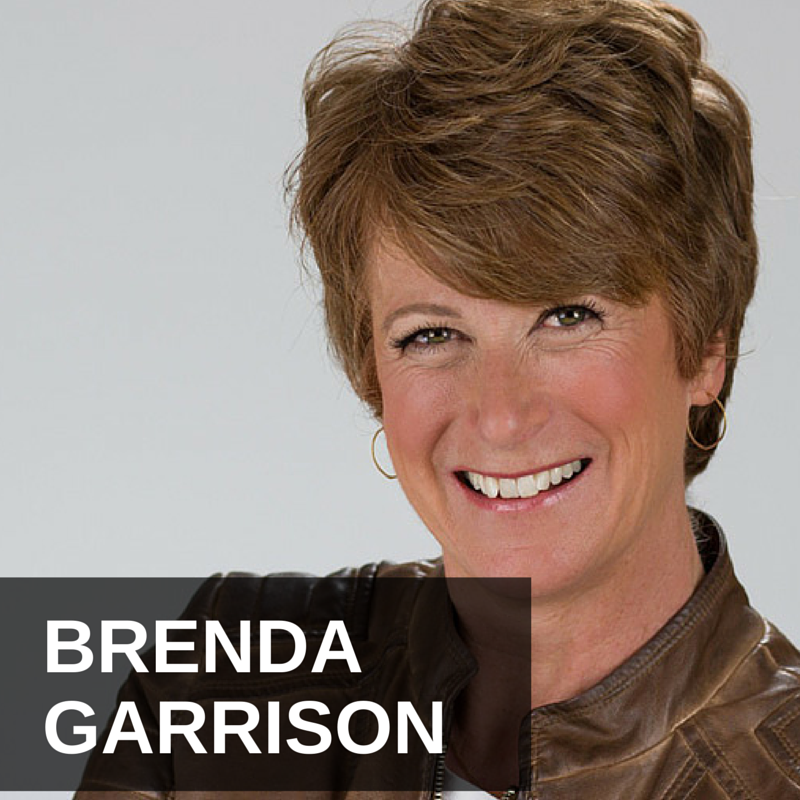 Brenda Garrison: And then finally would be the immoral or illegal one. And of course I know everyone is going to have different values for their family but for our family we went by, what does the bible say about this? What does the bible say about that? That would be our moral guide. And then of course illegal, we all know what illegal is. Anything that would be against the rules of your state, the rules or the law of your country. So those would be the 3 or 4 divisions of the types of decisions our kids make. Jason Hartman: And you have a chapter about getting out of the way. And I suppose that relates to parents sabotaging their relationship by getting in the way of things that they shouldn’t bother getting in the way of? Brenda Garrison: Yeah again, what can our kid learn here? Maybe they need to face the consequences, maybe, and with Katie she needed to, against our better judgment, she felt like she needed to move out at 18 taking her college money to live on because she didn’t have a job enough to support herself. We weren’t in favor of it but we could see that the train was leaving the station with or without us. So we went ahead and went along with it, provided the money and she went ahead and moved out. However it was in that experience of living on her own that she learned so much. And she could hear our voice in her head from all the years of being at home she could hear our guidance and she learned a lot of life’s lessons that she had to be out there on her own to learn those lessons. So parents are sometimes too eager to jump in and rescue or to jump in a fix things and we had to learn how many things the hard way? Many, many things the hard way. And our kids are going to be the same, they’re going to have to learn a lot of life lessons the hard way. Jason Hartman: Yeah they sure are, they sure are. So, what about parental guilt though? You know when a parent feels guilty about not allowing their kid to do something or maybe lashing out at them or not being able to provide everything the kid wants, how should a parent deal with that? However, if its things like you say like not being able to provide every technical piece of equipment that you know the kid across the street has, there’s no shame in that. And truly, even if you can afford it, that doesn’t mean your child should have it. So I think evaluate your guilt. Is it over real things that really need to have an apology or is it just over things that your kids are upset about? And a few years down the road they are going to either forget about it or they are going to see the wisdom in the way you parented and it’s not going to be important. So we do have to realize that we’re not our kid’s best friend and there are going to be times when they are upset with us. And those times may last for a very long time but eventually they are going to see the wisdom and that we did the best we could. Jason Hartman: Give us some practical tips that parents can use to build lifelong relationships with their kids. Brenda Garrison: sure, other then, okay so we’re going to start, we’re going to be available. Then we’re going to figure out what speaks to my kid, how does my kid hear love? And I definitely recommend Dr. Gary Chapman’s book The Five Love Languages. Jason Hartman: Oh, we had Gary on the show. He’s great, yeah. Brenda Garrison: Okay, there you go. And it would be so helpful because everybody is different and maybe your child is like you, maybe your child is like your spouse or your parent or something. But figure out, does your child just really love spending time with you? Even if nobody’s saying anything. I have a friend whose friend just loves to sit and drink coffee with her for like 30 minutes and not a word has to be spoken but that is feeding love into that friend. I like to send little notes to the kids when they’re at school. Katie has posted those on her refrigerator. We’ll go visit and there’s all the notes that I sent to her. So think about what speaks love to your child and then do it. It doesn’t have to be expensive, it doesn’t have to be fancy. Just little ways of saying I love you even in the midst of maybe some ugliness right now, I’m still your mom, I’m still your dad, I still love you and here’s the way I’m going to show it. It’s just so, so powerful. And then take an interest in what they’re interested in. Katie is pursuing her graduate school right now in art and so we have been to many art shows, we have, my husband has helped build many forms for many sculptures. And what is your kid interested in? Be there and be interested in that. Enter his world. And again, that’s what speaks I care because I’m willing to come into your world and really see things through your eyes, and that speaks love as well. Jason Hartman: We need more tips than that. Brenda Garrison: Okay, okay, okay again. Your kids may be in the midst of making bad decisions. However, when you find them or see them making a good decision, do what you can, we call it in our family keeping the wheels on the wagon. Do what you can to keep that little wagon rolling down the road. Enable those good decisions. So, again, maybe that is going to be maybe paying for gas money just to come home and visit. We’re not supporting other bad decisions, but we want you coming home to visit so we’re going to make sure you have gas money to get home to visit. I’m just trying to think of a situation where the kid is into something good. Then you can worry where to direct your money. It doesn’t have to be to everything else they want but if they’re actually pursuing something that is an education or an interest or maybe they’re a musician and you want to make sure they have a good guitar. Definitely splurge on that guitar because that is something is going to say I love you and I want to pull out the best in you and help you become the best that you can be. Another thing is stop nagging. Who likes to be nagged? By their mom, their dad, by their boss, by their spouse? Nobody does. It’s totally ineffective. Just learnt to say fewer words and have the words that you do say be encouraging. There will be some times where we need to offer some advice or offer some discipline. But if we are constantly nagging, when are you going to do this, you didn’t pick up that, again they are going to tune us out and they know how to do it. Jason Hartman: Right, it’s the boy who cried wolf syndrome, you know? You’ve got to make what you say important by saying less sometimes, right? Very good point, very good point. What else were you going to say about that? I interrupted you a little bit there. Brenda Garrison: Oh no, no. That is fine. I don’t remember but again, I think it is coming the parent or the person that you would want to spend time with and maybe growing up you had a special aunt or grandparent that you loved spending time with and maybe it was one of your parents. And are you that type of parent that your kid would want to spend time with? Or do they look for ways to circumvent you because they know it’s always going to be a struggle or an issue or something with you. But who do you like spending time with and how can you become more like that person to draw your child into a relationship with you as well? Jason Hartman: Address the issue if you would, Brenda, especially the last generation or so, we’ve had a lot of these single parent households and we have this battle going on between the spouses or the two parents trying to win over the kids and maybe joint custody and so forth. And it really goes to the heart of the issue, we don’t have to go into the whole divorce rate problem and that kind of stuff but it goes to the heart of the issue of how do you know when to be a parent and how do you know when to be a friend? And I think one of the things that has hurt society over the last generation and a half is parents that are just trying too hard to be their kid’s friends and they won’t have that proper parenting distance, if you will. I don’t know if that’s the right way to say it, but there’s a certain amount of authority and distance that has to come with being parent. Distance isn’t the right word, I can’t figure out what the right word it, but you know what I mean. Rather than just try to be your kids buddy; you’ve got to be a parent. And I think that’s been sorely lacking the last generation and a half. Brenda Garrison: I very much agree. I really do. And they don’t need any more friends. I mean your kid may need a friend but it’s not you. And no matter what you do, they’re not going to see you as a friend. They’re going to know hey, you’re my mom or you’re my dad. You shouldn’t be acting like that; you shouldn’t be dressing like that. And now that Kaitie is almost 27 and she’s seen her peers who have grown up like that, and one of her friends even told her the other day, she said you know what Katie? I didn’t have parents like you that cared about me and took care of me and now I’m trying to figure it out on my own and get my life back together. They really want us to be the parent and to be there for them. Even when our kids become adults. We can do fun things together, we can talk about different things that we couldn’t talk about when they were kids like politics or whatever, but we’re still going to be their mom and their dad. We’re not going to be their best friend and I think that we just need to realize that and to revel in the fact that yeah, they come to us, the respect us, they want our opinion on things. And we’re just, we’re not their friends. We have our own friends. We have our own peer group. But I think that if we relinquish that role of mom or dad we’re doing a huge disservice to our kids. We need to stay the mom and stay the dad because our kids only have one of us. Even if there’s a remarriage, they still only have one mom and one dad. And they need us desperately. Jason Hartman: Yeah, you mentioned the helicopter parent and what you meant by that is the smother love problem. How can you give your child the proper amount of room to grow, and maybe the right way to say it is not too much room? Now, again, it depends on the age of your child and their need to learn personal responsibility and some kids need a little more help than others. I understand that it’s hard to address every situation in one answer. But letting our kids, giving them the tools they need to grow and mature at the right age and then letting them use those tools. And then experience the consequences as they come. Because, usually, how many times have you forgotten to pay a bill? Probably just once. And then you realized oh wait a minute I didn’t like that, so now they’re always paid on time and that’s the same way with our kids. They’re going to learn from their mistakes. Jason Hartman: Right, and knowing when to rescue them and when not to. That’s really the issue, right? Brenda Garrison: Right, and I think when the situation becomes unfair, like the authority at school is, let’s see… I know what to say but, there are times when we need to be our child’s protector, we are their provider we are their champion. And there are times when things need to be worked out with the teacher, but then there’s also times when the parent needs to step in and address the teacher, address the professor, address the coach, because it has become too one sided. The adult authority has become too much for the child to deal with. Jason Hartman: They’ve become a tyrant. Brenda Garrison: Yeah, we do need to step in and be our child’s advocate. Jason Hartman: Yeah, good point. Well, what are some of the other things that you’d like to share from the book and just your experience in general? I mean you’re out there doing speaking engagements and all sorts of stuff so it’s not just limited to that and you have an extensive blog here on your website. Just anything else you’d like to share in closing? Brenda Garrison: I think if we could realize, my husband and I didn’t realize this at the beginning, that we are not alone. We feel like we’re the only ones with a kid that’s making decisions and we try to keep it quiet and we try not to talk to people we can’t trust about it. But as I started to speak, way before the book was even written, I started to speak on this around and parents would come up to me and just give me a physical response. They would throw their arms and they would roll their eyes, push themselves back from the table we were sitting together and they would say you have no idea the story I have. And this happened over and over and people I didn’t know would just come up to me and tell me their story. And we are in this together. There is no shame in this. I think we need to find people that we can, other parents that we can trust, that we can journey with on this and that will love and accept our kids as well as we do. Because our kids are not broken, they don’t need to be fixed, they need to be understood. They need guidance, they need discipline but our kids are not an embarrassment for us. They are on their own journey just like we have been on our own journeys as well. And we’ve done plenty of things that we probably wouldn’t want to talk about on radio, so. Jason Hartman: Right, fair enough. Brenda, you’ve got some other books as well, right? Brenda Garrison: Yes, my first book Queen Mom came out in 2007 and that’s general about being a mom, get a plan, you be in charge of your home, not let the kids be in charge of your home or your mother in law be in charge of your home, but know your plan and work your plan for your family. And then Princess Unaware, finding the fabulous in every day was my second book. And that is for women of all ages to help them figure out what God has for them in this wonderful life here, and then how to go about it. Overcome fear, overcome excuses and really get to living life. And then the third book is the little book on marriage for really any wife, but it’s really geared for the newlyweds or the first two or three years and just talks about all different topics of marriage, communicating with your husband and trying to understand him a little better and that type of thing. Jason Hartman: And yeah, that’s entitled, He’s not a Mind Reader and Other Brilliant Insights for a Fabulous First Year of Marriage. I just wanted to give out the title of course. But excellent, well, Brenda Garrison, thank you so much for joining us today. Give out your website if you would. Brenda Garrison: I would love to, it’s www.BrendaGarrison.com and I have free resources there that are sheets with help on raising kids, and preparing tweens to go into junior high, there’s a resource for that as well. And they can sign up for my monthly email newsletter if they like which also has more information on doing life well, so they can see a lot of different things when they get there. Jason Hartman: Fantastic, well Brenda Garrison, thank you again for joining us. Brenda Garrison: Thanks Jason, it was great to be with you. Announcer: What’s great about the shows you’ll find on JasonHartman.com is that if you want to learn how to finance your next big real estate deal, there’s a show for that. If you want to learn more about food storage and the best way to keep those onions from smelling up everything else, there’s a show for that. If you honestly want to know more about business ethics, there’s a show for that. And if you just want to get away from it all and need to know something about world travel, there’s even a show for that. Yep, there’s a show for just about anything. Only from JasonHartman.com. Or type in JasonHartman in the iTunes store.